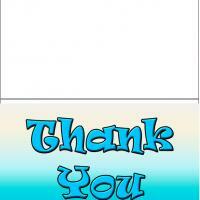 These printable thank you cards feature a happy little girl saying thank you. 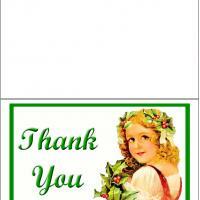 The green colors and mistletoe make this card useful for showing your appreciation for anything Christmas related, though it could be useful on any occasion. These free printable cards are good for anyone who wants to inform their friends that they are appreciated. 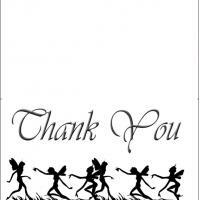 Print it out and if you desire, add a personal message to extend your thanks.